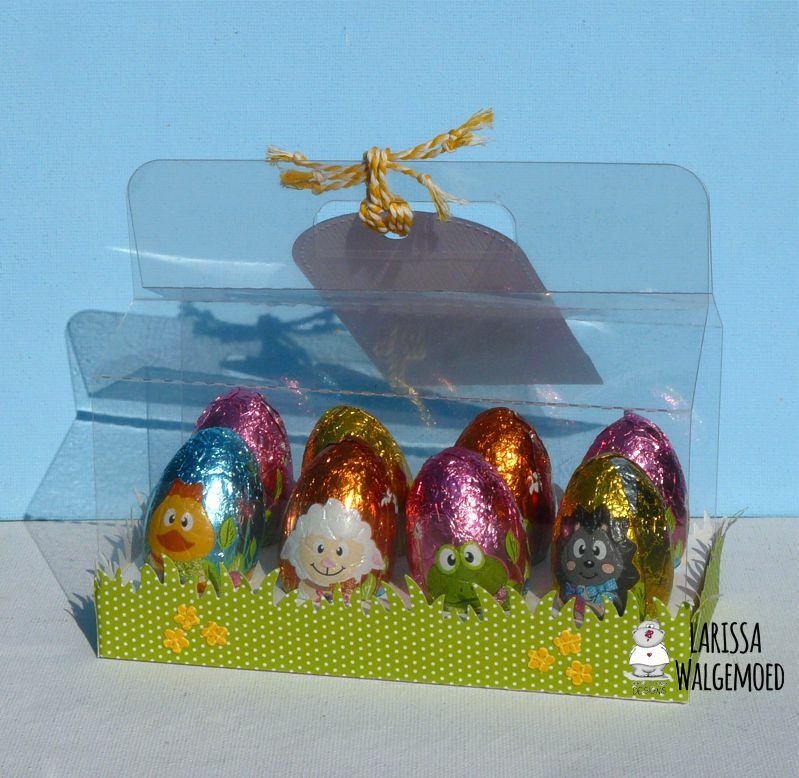 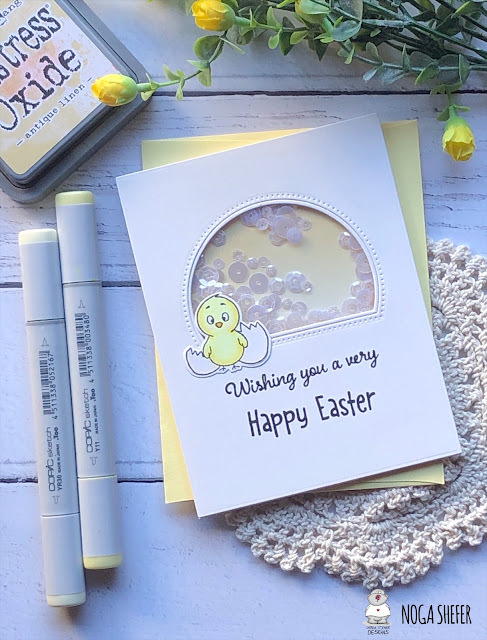 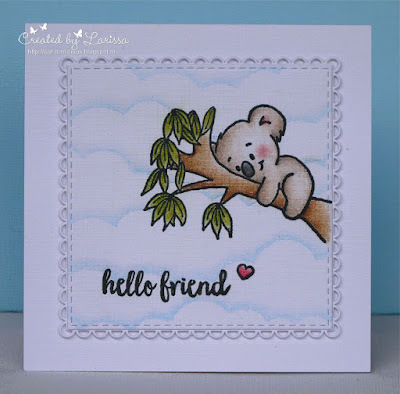 Hi everyone, it is Larissa from Car-d-elicious and today I am posting a tiny cute card. 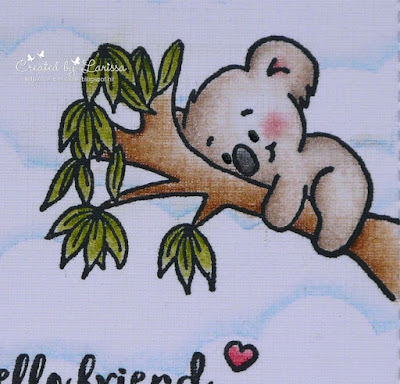 Unfortunately my pictures aren't really well because of all the rain we have in the Netherlands. 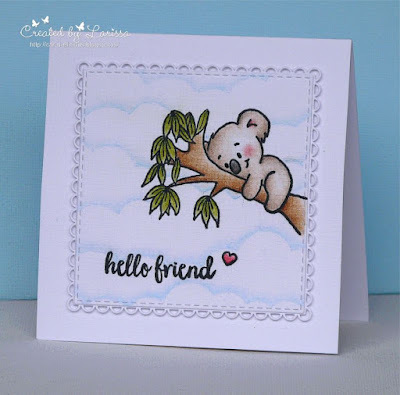 Today I made a card with the stampset You are koalafied from Gerda Steiner designs. I stamped the koala, the sentiment and the heart on white linen cardstock and then I coloured all images with my Polychromos pencils and the black glaze pen. 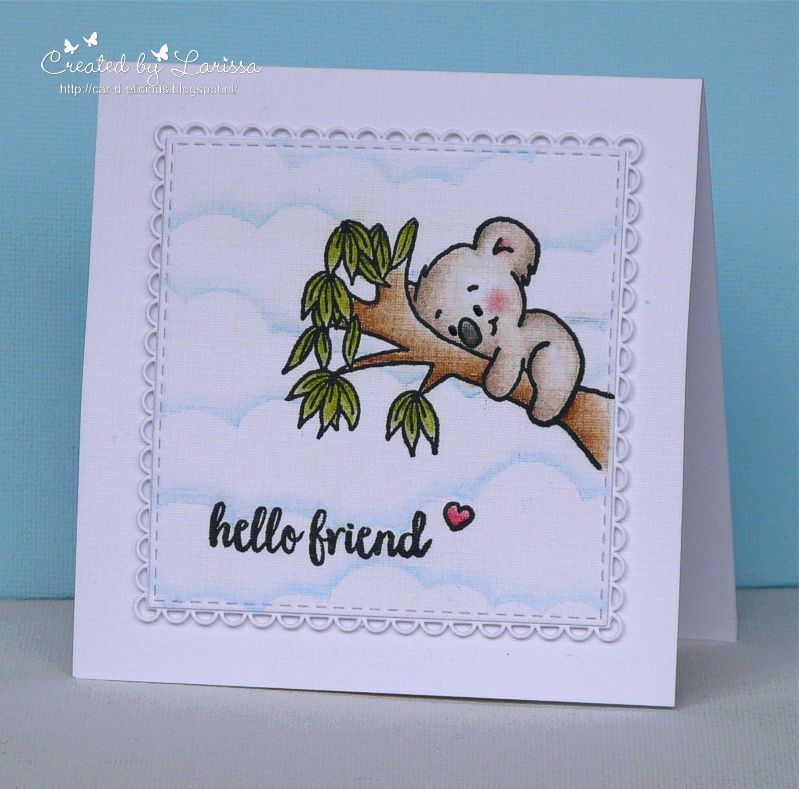 I have made a background for the image with the help of the Mini cloud edges stencil from My favorite things and my pencils and it turned out great. 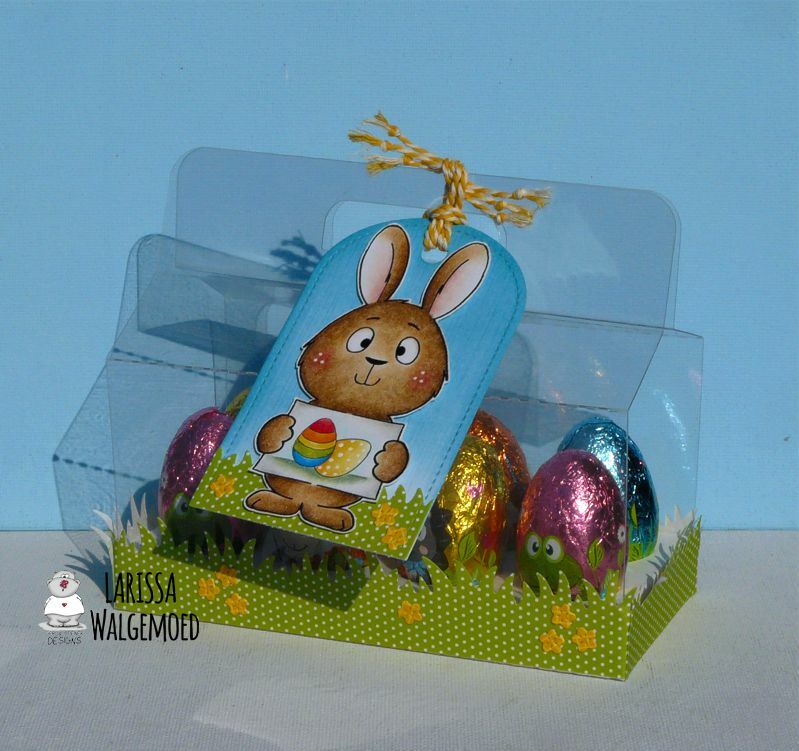 I have die-cut the image with the Crea-nest-lies XXL 34 from Crealies. 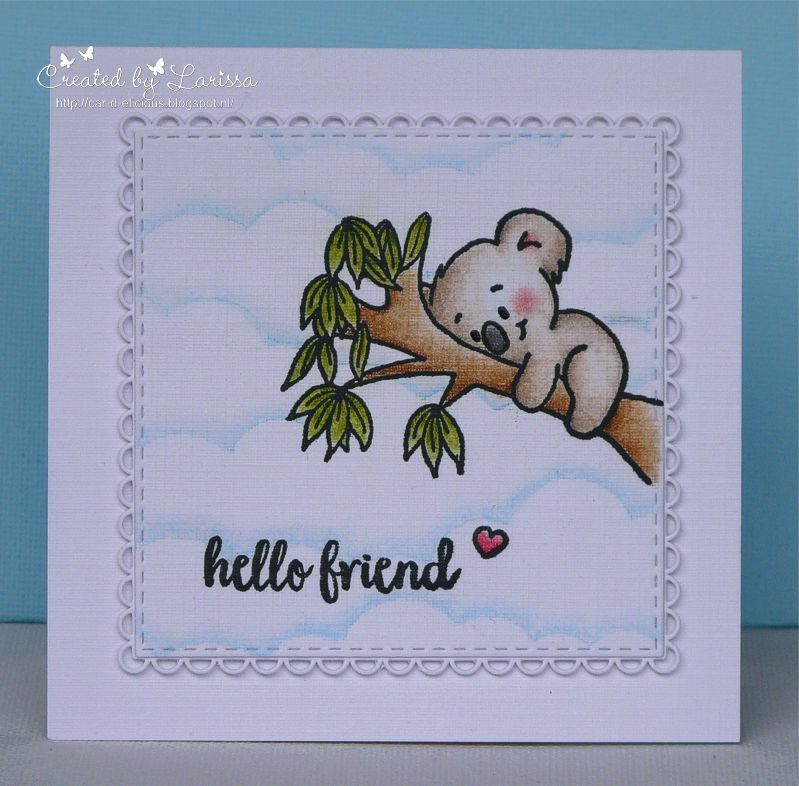 I have cut a square with an open scallop from white cardstock with the Crea-nest-lies XXL 70 from Crealies. I adhered all squares on top of each other and then I adhered everything on a little card.